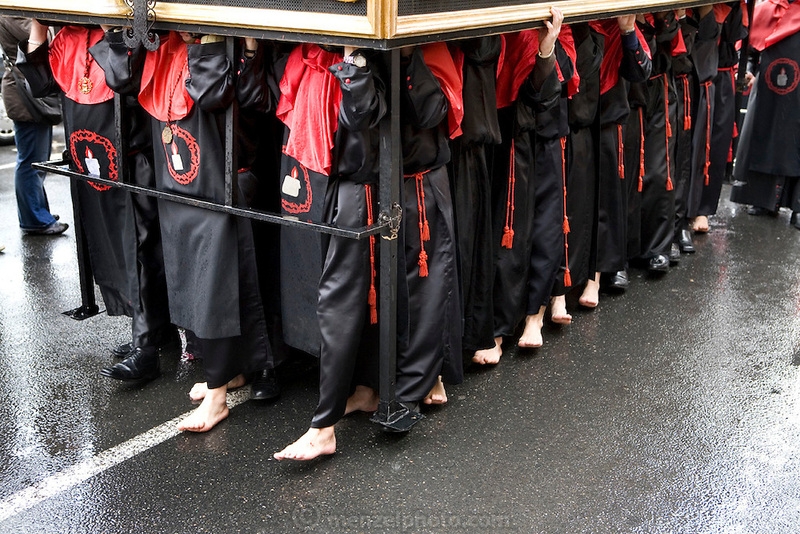 "Costaleros" carrying an ornate float through the streets of Salamanca during Semana Santa (Holy Week) in the rain. Street processions are organized in most Spanish towns each evening, from Palm Sunday to Easter Sunday. People carry statues of saints on floats or wooden platforms, and an atmosphere of mourning can seem quite oppressive to onlookers.